Don't know what's in your drugs? The Welsh government wants to help. In CNN Interview, Obama Punts on Rescheduling, Hints Support for Decriminalization. In an interview with CNN released today, President Obama said rescheduling marijuana was a job for Congress [Editor's Note: The executive branch can also reschedule it, according to statute] and that he considered the criminalization of personal use his main concern, although he also worried about the impact of commercialization. House Government Oversight Committee to Hold Hearing on Marijuana Policy Next Week. Rep. John Mica (R-FL), chairman of the committee, said he will hold a hearing next Tuesday to examine what he called the Obama administration's "schizophrenic" position on marijuana laws. "The purpose of the hearing is to try to sort out the increasingly schizophrenic federal policy we have, because the DEA administrator was overhead denouncing what the president said," Mica said Friday. "We have states that are enacting laws -- municipalities that are considering it -- that are in conflict with federal law." There could be more hearings to come after that, he added. Baltimore Police Commissioner No Fan of Legalization. Baltimore Police Commissioner Anthony Batts in a radio interview on Thursday evening expressed doubt that marijuana should be legalized. "We already have a city with a high addiction -- what would that do to the city of Baltimore?" Batts said. He also linked marijuana to homicides in the city, although the killings he described were a function of black market drug sales. "When you're calling your weed dealer or drug dealer, and you show up with money and you get robbed and it turns into a shooting, that's what we're seeing." Massachusetts Names Recipients of Medical Marijuana Dispensary Licenses. The Department of Public Health Friday announced the names of the first 20 dispensary applicants who will be awarded licenses to to open dispensaries. An additional 15 will be forthcoming. Judge Reinstates Delaware Valley (PA) School District Drug Testing Program. A Pike County district judge has lifted a temporary injunction barring random, suspicionless drug testing for students who drive to school or participate in extracurricular activities. The parents of a 12-year-old female student who faced drug testing if she wanted to join the scrapbooking club and the ACLU had challenged the program in 2011 and won the injunction, but Judge Joseph Kameen ruled earlier this month that the policy was constitutional under state law. It is unclear if the ACLU of Pennsylvania is done with this case. Opioid Overdose Prevention Bill Introduced in New York. State Sens. Kemp Hannon (R-Nassau) and Jeffrey Dinowitz (D-Bronx) this week filed a bill, Senate Bill 6744/Assembly Bill 8637, that would help prevent accidental opioid overdoses by expanding access to the opioid antidote naloxone. The legislation would dramatically increase the accessibility of the life-saving reversal tool by allowing authorized health care professionals to issue standing orders, or non-patient specific prescriptions, to certified training programs that would in turn train individuals on the signs of overdose and provide them with the naloxone kits. By expanding naloxone distribution, this legislation will help reduce the number of preventable deaths resulting from accidental drug overdoses. Welsh Government Funds Program to Test Drugs for Public. 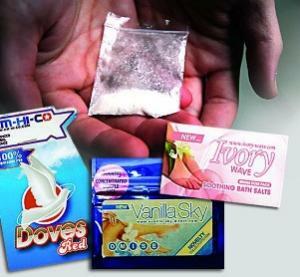 Public Health Wales has set up the Wedinos Project (Welsh Emerging Drugs and Identification of Novel Substances Project) to identify what drugs are in circulation there and use that information for harm reduction purposes. Samples are sent to the Wedinos laboratory in Cardiff anonymously and the test results posted online, identified by a reference number. The service is open to the public. "It's essential intelligence for our health workers, for our substance misuse workers, for the police, for young people and their families. By providing timely and accurate information this service can save lives," explained Welsh Health Minister Mark Drakeford. This is the first government-funded program of its type in the United Kingdom. Dutch Cities Call for Legal Marijuana Cultivation; Government Says No. Eight of the Netherlands' 10 largest cities, including Amsterdam and Rotterdam, signed a joint manifesto Friday calling for the creation of "a national system of certified and regulated cannabis cultivation." Another 25 municipal councils also signed on. While the Netherlands allows for the sale of marijuana through its famous cannabis coffee shops, growing marijuana remains illegal. "We want cannabis cultivation to be regulated so the national market is manageable and more transparent, and to decrease the influence of organized crime," said the manifesto. Justice Minister Ivo Opstelten rejected the proposals: "I really don't think this is the solution," the Liberal minister told Dutch public television. "Mayors just have to learn to live with it," he said. Marijuana Growing Courses Underway in Uruguay. Uruguay's National Cannabis Federation has launched special training courses on cultivation of the popular plant, local media reported. Some 50 would-be growers are currently enrolled. Blaming prohibition black market related violence on users of cannabis. What's he saying is we can't legalize weed, because when it's not legal, people get killed because of the sky high black market prices. Whatever, boss, whatever. Anyone who supports the head of the DEA , someone that does not know if marijuana is as bad as heroin or crack , obviously has no credibility on this issue . The voters of Florida [ Disney ] need to get a grip . What about the worry that people smoking pot will eventually turn to heroin? We'll go to any bar in the land and observe what the vast majority of people are drinking. Mainly beer and wine. Are they tempted to sit there drinking brandy all night? Of course not. You dont become dependant on weed...the only drugs you can get hooked on easily are meth, crack, heroin, and opiate based pain killers like Percoset or Oxycontin. Regardless of what youve heard weed, cocaine, and ecstasy arent habit forming.